A horse riding session incorporates safety when dealing with horses, grooming, and basic riding instruction within the corral. Roundup campers will also get to go on a trail ride and may be able to take part in more advanced Riding lessons depending on the programme. This activity seeks to create a safe and fun environment which will increase the confidence of participants around horses, as well as providing the opportunity for improving horsemanship skills. The participant is seated in a customised harness and suspended by four cables. A crowd haul system is used to raise them up to a height of 8 metres. The participant then activates a self release mechanism to begin the swing. 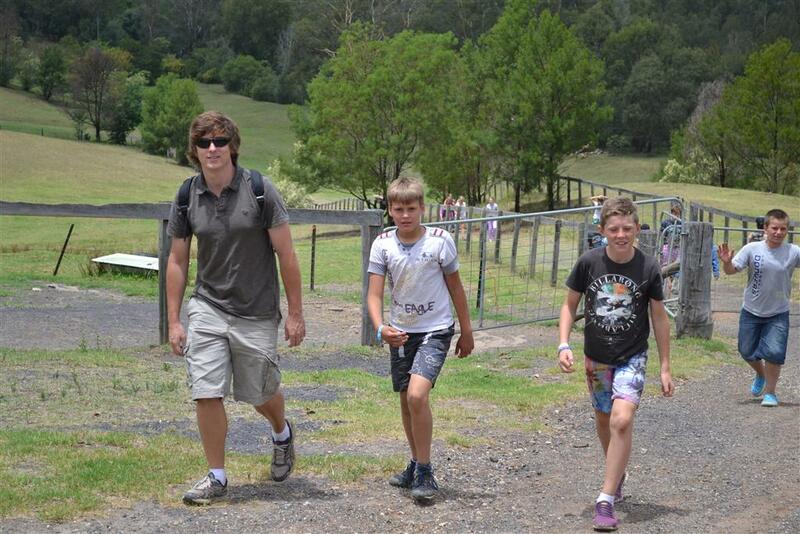 This activity develops skills in assessing risk, decision making and working as a team, as well as being a lot of fun! The aim of this activity is to instruct participants in basic climbing and belaying skills and provide an opportunity for them to use these skills safely in a supervised environment on an outdoor artificial climbing facility. It is an excellent activity for improving confidence and developing trust, teamwork, accountability and a sense of responsibility. The abseil descent from the top of the tower is available for all campers attending a Senior Roundup. The aim of this activity is to instruct the participants in the basic aspects of canoeing and to provide the opportunity for them to experience canoeing in a safe and supervised environment. This activity seeks to improve participants' confidence around water while equipping them with the motor and technical skills required for canoeing. The aim of this activity is to instruct and supervise participants in their use of the 8 elements of the high ropes course. This is a challenge by choice activity that is an excellent context to assist particiapants in overcoming fear, assessing risk and developing trust, balance, confidence and accountability. The low ropes course is used by participants to practice their technique and safety procedures for the high ropes during this session. This activity is available for all campers attending a Senior Roundup. The aim of an archery session is to instruct and supervise participants in acquiring the skills of archery in a safe environment. The participants will be given multiple opportunities to develop these skills. This assists participants in developing spatial awareness and hand-eye co-ordination, as well as being an ideal introduction to this popular leisure activity. This is an outdoor activity that involves participants working together to build a wilderness shelter out of natural materials in the Bush. There is also the opportunity to help build and then cook on a fire (weather permitting). This activity is a basic introduction to survival skills and encourages participants to work together as a team, to communicate, and to be resourceful. The aim of this indoor activity is to instruct and supervise participants as they construct and ascend a tower built from a maximum of 13 milk crates. This activity is excellent for overcoming fear, learning belaying skills, and developing trust, balance, confidence and accountability. Teamwork, group cohesion, problem solving and communication skills are also developed. It is also suitable as a wet weather alternative activity. 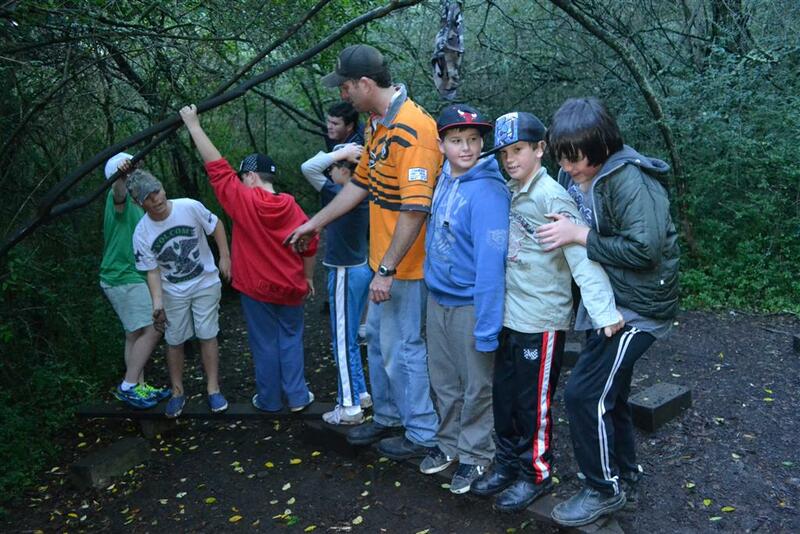 Purpose built in native bushland, the challenge course is designed to develop different facets of teambuilding. It involves a series of exciting initiative challenges in which the participants cannot solve each problem unless they work together as a team. Communication, coordination, lateral thinking and trust are just a few of the qualities developed as participants progress through the course. Pool games consists of a number of planned team based challenges that develop water safety skills in participants as well as increasing their confidence around water. There is also the opportunity for some supervised free time swimming towards the end of the session. This activity introduces participants to the basics of using a compass to take and find bearings. Participants will be split into smaller groups to encourage each individual to learn new skills and participate whilst working together as a team. Teams have to hide coloured tokens and record their location by creating a map using the bearings they have taken. Teams then swap over and get to go exploring to find another team's tokens using their directions.